When we are feeling down or sad. There are tools to use to make us glad. Visualize a staircase spiraling down from the sky. It materializes on the ground from on high. 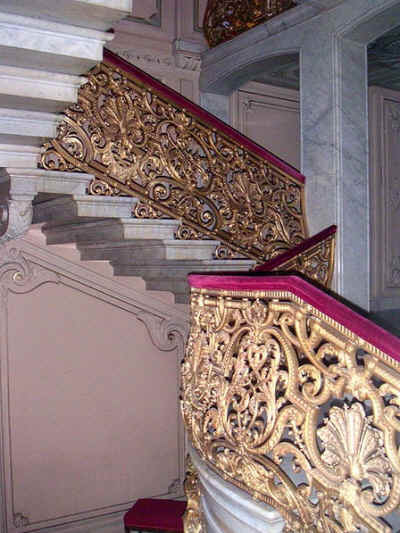 It is carpeted with red velvet and railings gold in frame. Angels appear and call you by name. They beckon you to follow and calm your mind. Each step you take is a step closer to the Divine. At the stop of the staircase is an empty throne. You ask the angels “Why is the throne is empty”? The angels reply, “You are God’s guest”. God has vacated his throne for you to rest. The throne is there for you my friend. Rest, all your troubles are on the mend. Rest awhile for God is nearby. All your needs God will supply. You want to cry, but God wipes away all tears. He will also wipe away all your fears. You are inspired, invigorated and renewed. God will provide heavenly food. With tears of happiness you descend the staircase. You leave with a heart of hope and a smile on your face. When you reach the ground the staircase dissipates in a mist. 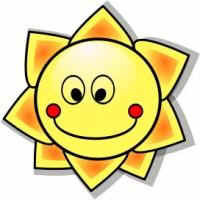 The sun is smiling and each ray greets you with a kiss. The Golden staircase is always there when you feel sad. God will always activate the staircase to make you feel glad.